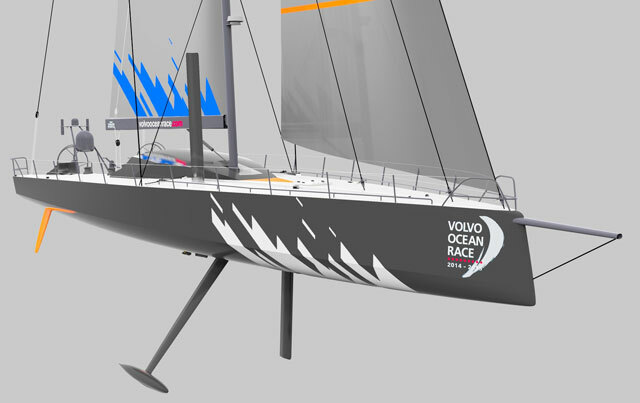 Are we seeing a new dynamic in the Volvo Ocean Race? Rupert Holmes looks at the race leaderboard and where some teams are opting to take calculated risks. 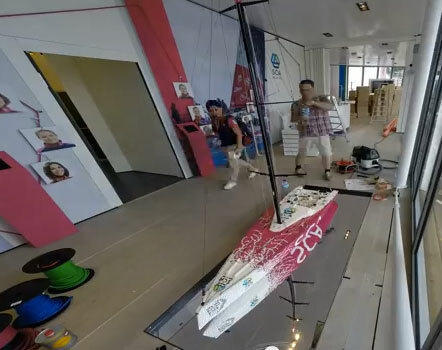 The current edition of the Volvo Ocean Race, sailed for the first time in its 42-year history in one design yachts (see Volvo Ocean 65: the world’s toughest one-design), has seen incredibly tight racing. 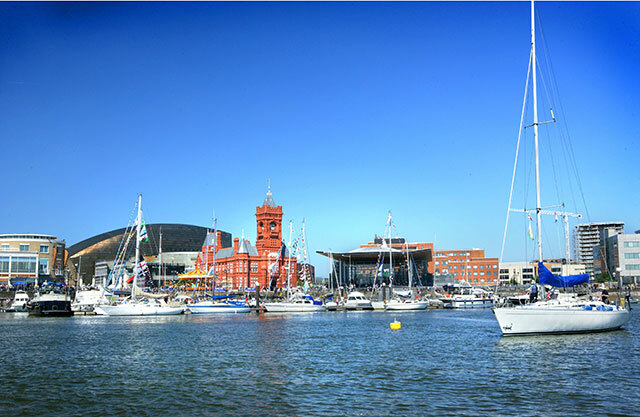 Before the start Ian Walker, skipper of Abu Dhabi Ocean Racing, predicted that for much of the circumnavigation his team would be within sight of competing boats. Until now Walker’s prediction has proved largely correct, especially as few boats have dared to split from the pack. Even if routing data strongly supported taking a different strategy, the possibility of the predictions being wrong and therefore getting spat far out of the back of the fleet, was too big a risk to take. 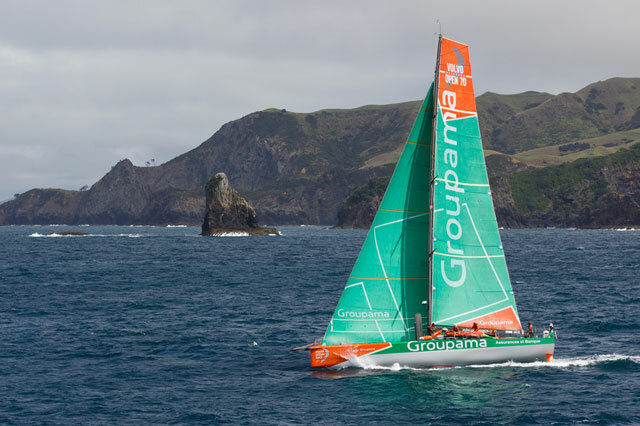 However, in leg four (from Sanya, China to Auckland, New Zealand) we’re starting to see a different dynamic, with some boats sufficiently far behind on points that taking a carefully calculated risk becomes the most sensible option. That’s exactly want Team Brunel and Team SCA did on the second day out of Sanya – they split from the rest of the fleet, tacking north to get into a belt of stronger wind, even though it would add hundreds of miles to the route. 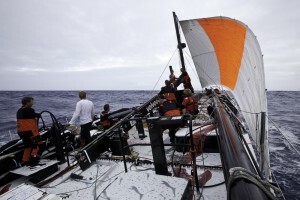 A few days later, while they hadn’t pulled dramatically ahead, the move still looked as though it could pay off, with some models predicting as much as an 18-hour advantage on the rest of the fleet by the end of the leg. Onboard Dongfeng. 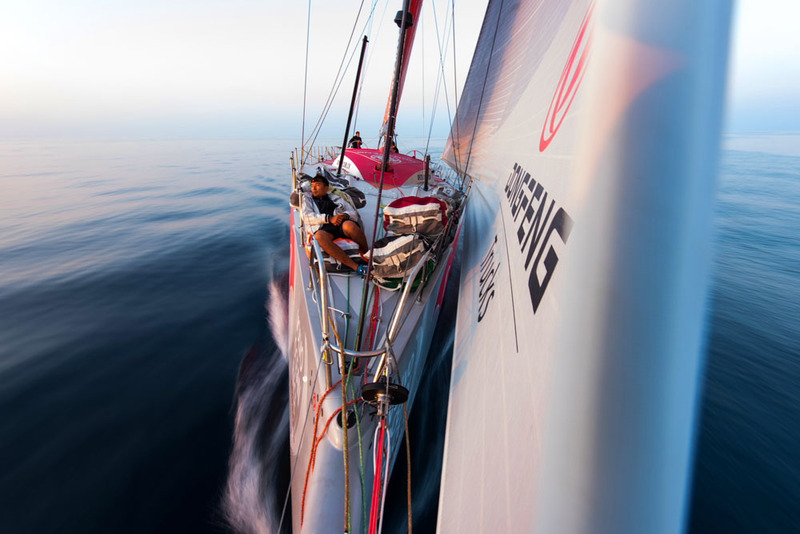 Photo by Sam Greenfield/Dongfeng Race Team/Volvo Ocean Race. What does this mean for the remainder of this leg? Fundamentally, the fleet is now split into two groups that will experience slightly different weather. 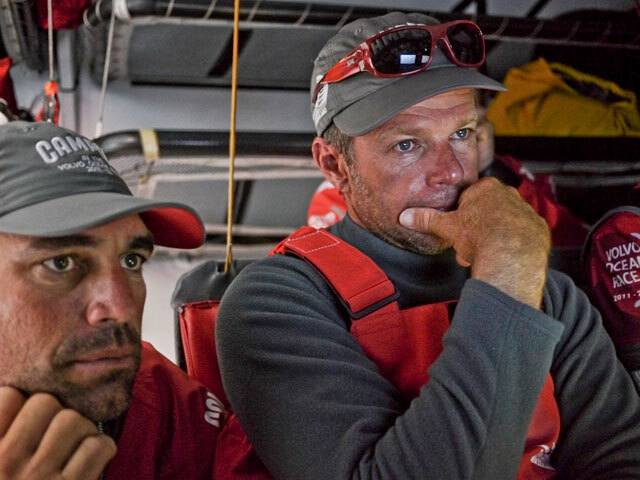 That completely changes the dynamic we’ve seen so far in the race, meaning the early leaders – Dongfeng and Abu Dhabi Ocean Racing – won’t have such an easy ride as they’ve enjoyed up until now. Granted, there’s every chance the top teams will post some more wins in the remaining five legs. However, the race is much more open than the early results suggest. 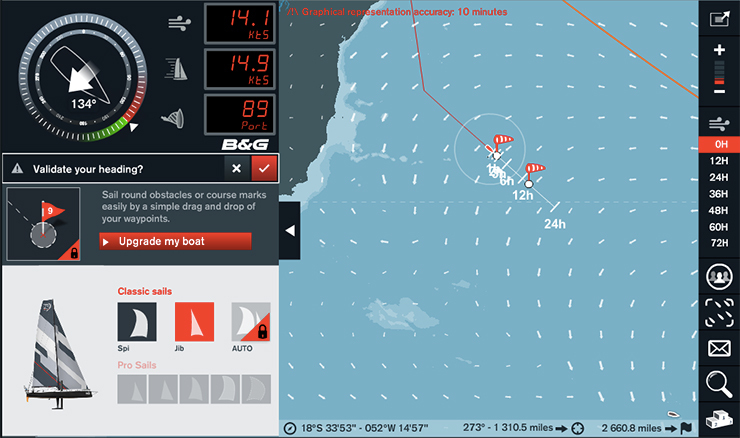 With the boats and crews very evenly matched, optimal routing has the potential to offer bigger gains than the very marginal differences in boat speed between the teams. And as the race progresses the boats at the back of the overall leaderboard have an increasingly large incentive to split from the leaders. It’s therefore far too early to call a likely overall winner. 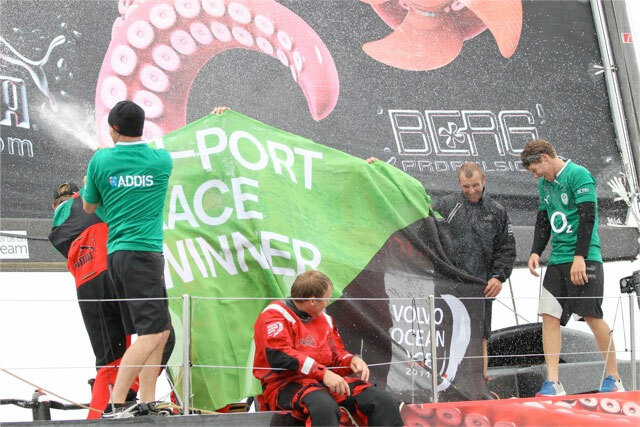 Anyone who doubts that only has to look at the record in the last few editions of the race, where the consistent overall early leader did not go on to take victory at the end of the circumnavigation. The only facts that we can be certain of at this stage are that the differences in boat speed between the first and last boats in the fleet are so small that anything might happen between now and when the fleet reaches Gothenburg in June. And we’re increasingly likely to see the fleet splitting into different groups as the race progresses, which will make it a lot more interesting to follow.